Scott Sonnon overcame dyslexia so severe that he was hospitalized in a children's psychiatric institution for his "disruptive classroom behavior." Despite being advised that he should not set his expectations very high, he went on to become a five-time world martial arts champion, award-winning producer, prolific author, patent-holding inventor and fitness industry magnate with his books, DVDs and equipment now available in 68 countries worldwide. Ironically, Scott became a keynote speaker for the genius organization Mensa, and his acclaimed TEDx talk challenges the notion of "learning disabilities" through the creative genius of alternative learning styles. Using his "unique neurological wiring" to create innovative health programs, he was named one of the Top 25 Trainers in the world by Men's Fitness Magazine, "World's Smartest Workout" creator by Men's Health Magazine, and one of the seven most influential martial art teachers of the 21st century by Black Belt Magazine. Scott was named an adjunct instructor for the U.S. Federal Law Enforcement Training Center, and lecturer for the State and Local Law Enforcement Training Symposium. 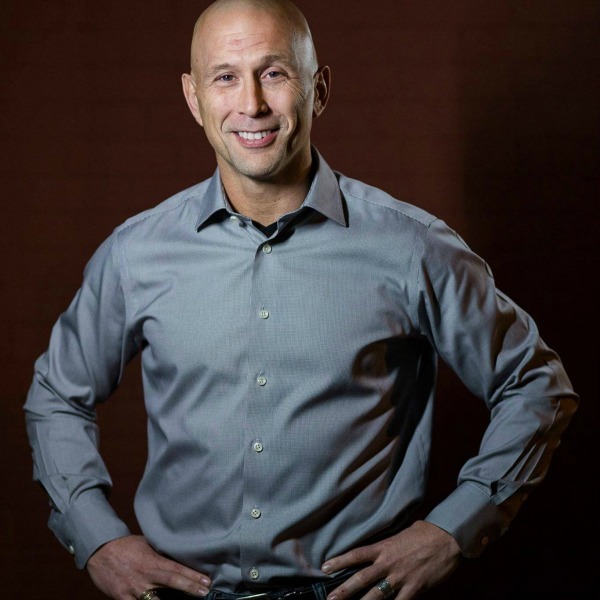 His training systems have been used by more than 50,000 federal agents through the US Customs and Border Protection Advanced Training Center and the US Marshals Service Academy. Scott has been a featured speaker at the Arnold Schwarzenegger Sports Festival, the National Strength Conditioning Association and many more. Scott has now taken his success in martial art, fitness and yoga off the mats and into the classrooms, as an international speaker. He advocates for children and adults battling the labels of learning difficulties, the ravages of obesity, the trials of post-traumatic stress, the dangers of bullyism and the challenges of accelerated aging in joint and soft tissue. Why does Donna Karan of DKNY call Scott Sonnon “inspirational?” As a child, Sonnon had dyslexia so severe that he was forcibly institutionalized due to being perceived as "unteachable." Despite being told again and again that he would be a failure, Sonnon found inspiration in the advocacy of his mother, the wisdom of his grandfather and the writings of philosophers to become an overachiever: a five-time World Champion in martial arts, inventor, entrepreneur and Hall of Fame trainer. His recent TEDx presentation went viral, inspiring tens of millions around the globe. Now Sonnon offers fellow dyslexics, parents and others inspiration from the lessons he learned the hard way. 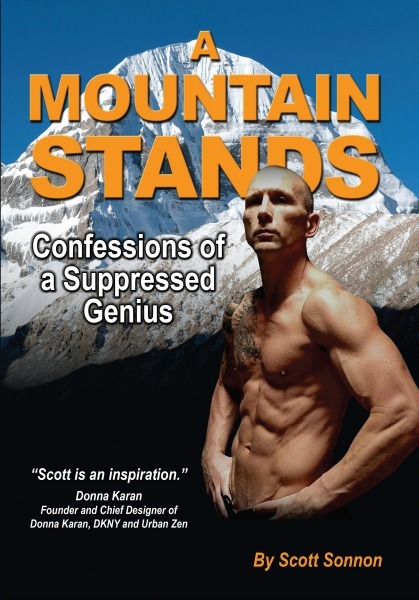 “A Mountain Stands: Confessions of a Suppressed Genius” offers a convenient format that can be read one short chapter-lesson at a time, or as a traditional biography.